30x60cm to 45x90 There are 29 products. White body Wall Tiles D Montr Leaf Pe 25x76cm. COM Quality. Shiny Finish. Price per m². White body Wall Tiles Dressy Dove Ln. 25x76cm. COM Quality. Shinyt Finish. Price per m². White body Wall Tiles Dressy Mud Line 25x76cm. COM Quality. Shinyt Finish. Price per m². White body Wall Tiles DT24 D-Ornament 33x90cm. COM Quality. Shinyt Finish. Available stock: 1.14m² Price per piece for the whole stock. 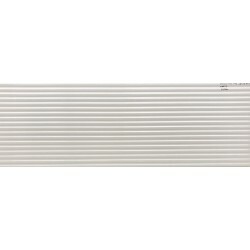 White body Wall Tiles Haut Dore St RT 32.5x97.7cm. COM Quality. Shinyt Finish. Price per m². White body Wall Tiles Lithos Carr TR76 25x76cm. COM Quality. Shinyt Finish. Available stock: 10,45m² Price per piece for the whole stock. White body Wall Tiles Royale Marfil 25x76cm. COM Quality. Shiny Finish. Price per m². Porcelain floor/wall tiles Simply Snow 30x60cm. COM Quality. Matt Finish. Price per m². Porcelain floor tiles Tampa Grey 30x60cm. COM Quality. Matt Finish. Price per m².